I’m making a couple of small changes in the guest room this spring. I’m hoping our guest will feel so welcomed and pampered. This room is very tailored and has lots of space for our guests to move about and feel comfortable. So I don’t want to clutter it with lots of chotchkies or other things. I think it will be the perfect place to pin up pictures of our guests and a welcome note and tickets or brochures to local events… or even a little gift! 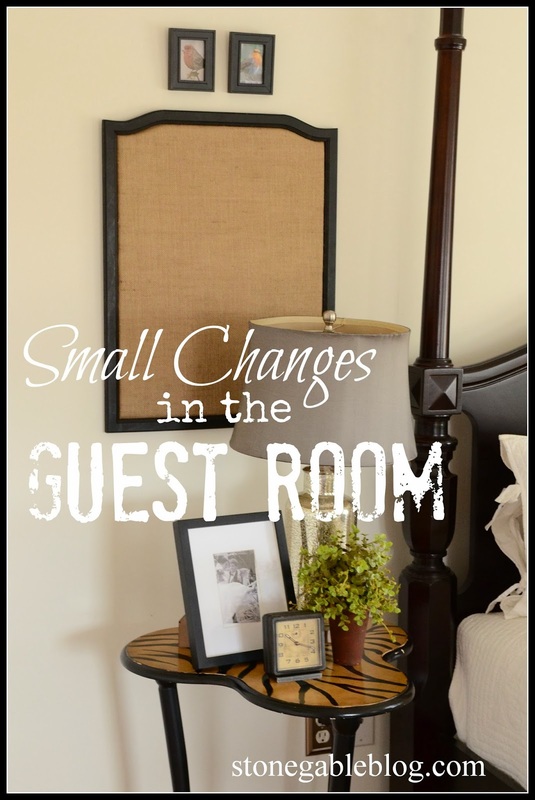 I love the idea of personalizing it for each guest! I also hung two tiny watercolor pictures of birds we often see in our yard. A little common house finch and a robin. I chose the little bird pictures because of the two 3D nest pictures on the other side of the bed. The bulletin board is empty now.. but won’t be for long. We are having family in next weekend and I can’t wait to dress it up just for them! 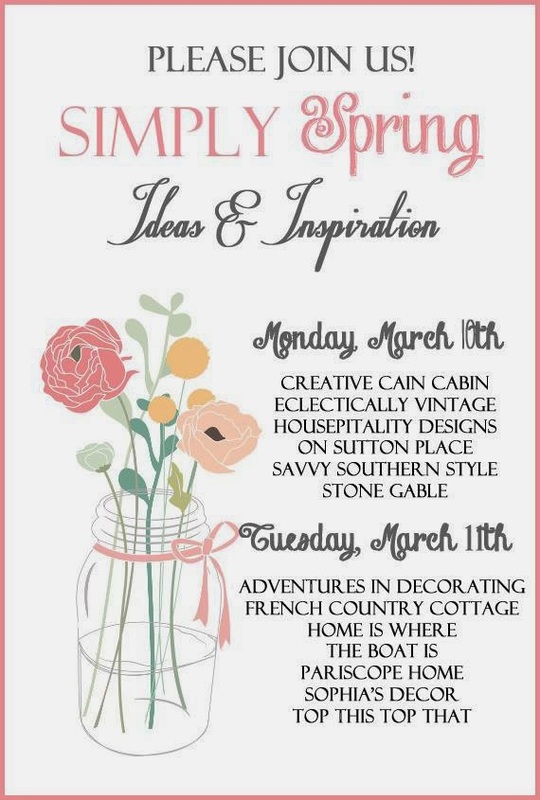 Lots and lots of Spring creativity! The color is Benjamin Moore White Dove. Oops! Forgot to ask you what color paint you have on the bedroom walls? 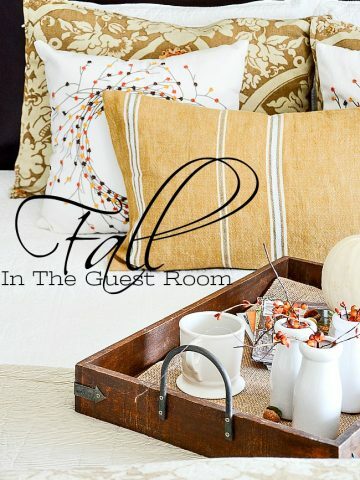 An adorable idea to personalize for your guests, dear one! Great way to make them feel welcomed, too! I’d love to see another photo of the bullentin board with all the “fixin’s” on it! This room is so pretty and very inviting, I would not leave. T he bulletin board is such a great idea. Love that bed!! What a wonderful idea Yvonne! 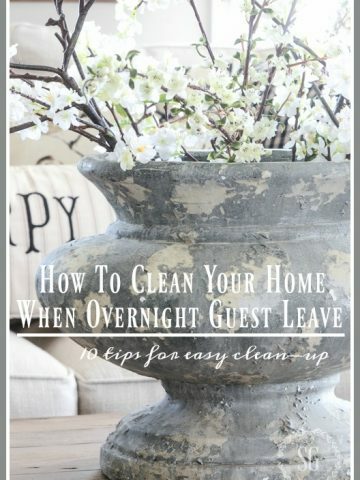 Your guests will feel so very welcome! Love the bird pictures and nests too…nature is so calming. The bedside table picks up on that idea too. Do you share where you bought that cute table? I would love to know. Your home is lovely indeed! 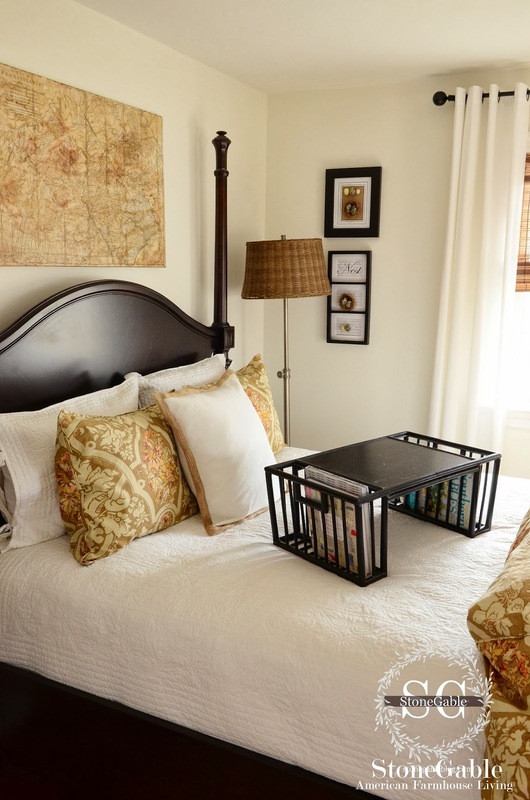 I just love this guest room. This is a beautiful room, Yvonne! Love the colors you’ve used as well as the bulletin board idea! The bulletin board idea is brilliant! 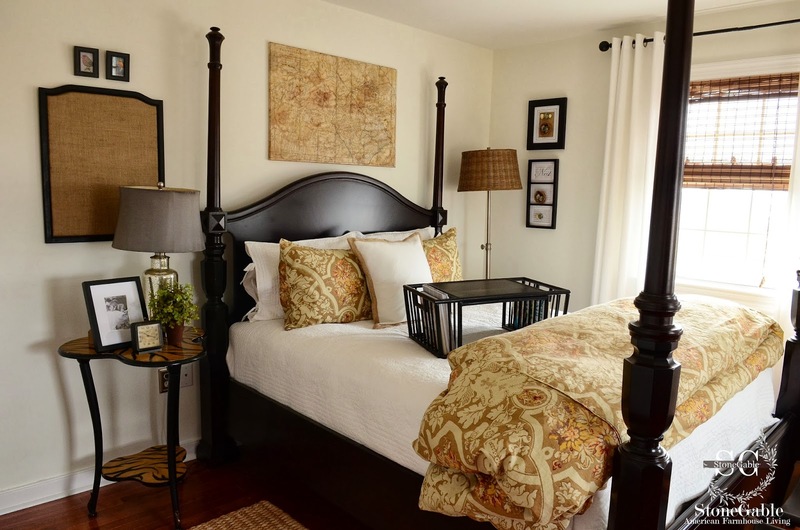 Love the calm soothing feel of your guest room. 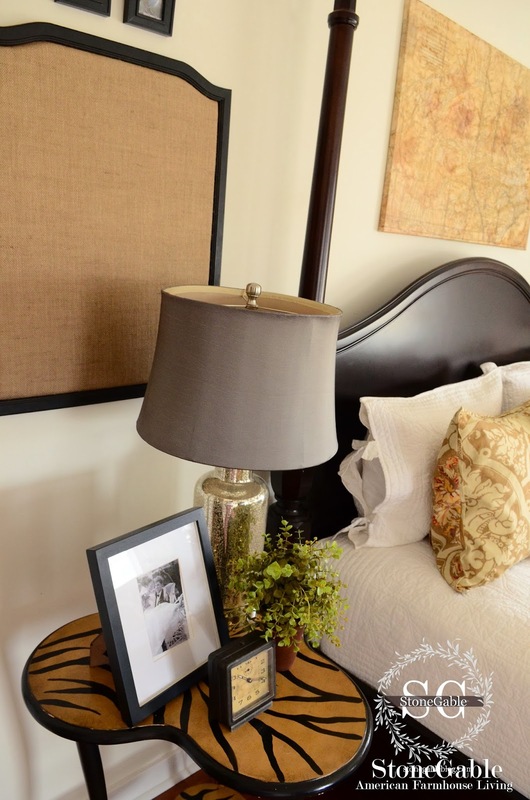 Drooling over that yummy taupe lampshade! 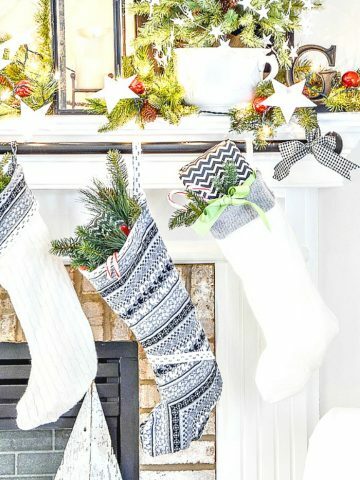 Everything looks so warm and inviting – great job! 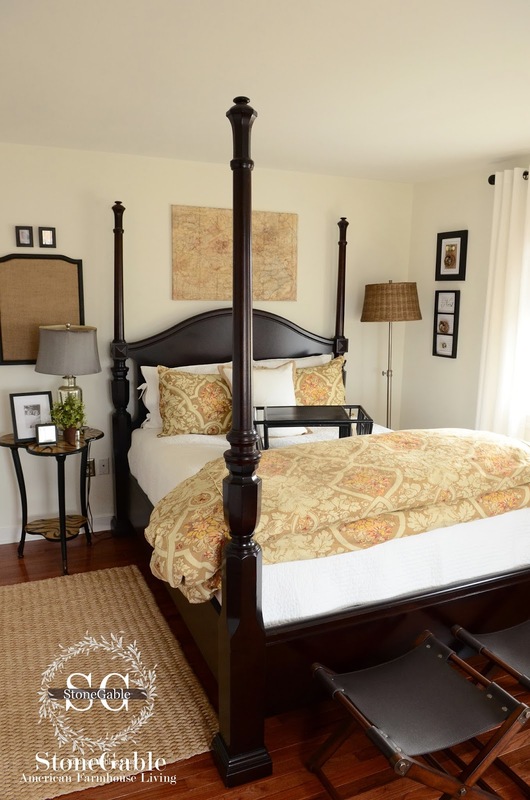 Yvonne, your guest room is beautiful and your guests will feel very welcome. I love all the soothing colours and textures and the great attention to detail. Wonderful idea and lovely room! I was wondering if your plant on the bedside table is real or faux? If faux, where would be the best place to find realistic ones? Thanks for all you post! It’s faux. I don’t always remember to water my upstairs plants. Love this room…. It absolutely says Welcome… come on in…. get comfortable!! I love the color combinations too… Could you tell me where the duvet/shams came from?? I did read your post but may have missed that portion….. Thank you for sharing!!!!!!! Oh Yvonne. I cant wait to see what goodies u pin up when I come to visit. Thanks in advance for your wonderful hospitality. I agree the pin up board will be perfect with little treasures pinned to it. I think it’s a great idea Yvonne…anyone would love to stay there! Beautiful room! I love everything that you do. Could you tell me where you purchased your bulletin board? I find it hard to find decorative bulletin boards that fit my space and this one would work perfectly in my mudroom. I got this bulletin board from HomeGoods. Scooped it right up! Pinky, you have a standing invitation! The bulletin board came from… can you guess…. HomeGoods! You are so creative! I love the changes you made – the bulletin board is such a great idea and the 3d nest pictures are amazing! I think I want to give that a try! Do you recall where you purchased your breakfast in bed tray from? Beautiful room. Cathy, the bed tray came from our local Pottery Barn Outlet. My guest love it! Such a luvly room Yvonne. So cozy and welcoming. What a lovely guest room, so cozy ! Love the watercolor bird prints, wish I could do that. Any guest would feel special staying in that room. I love your bulletin board idea! 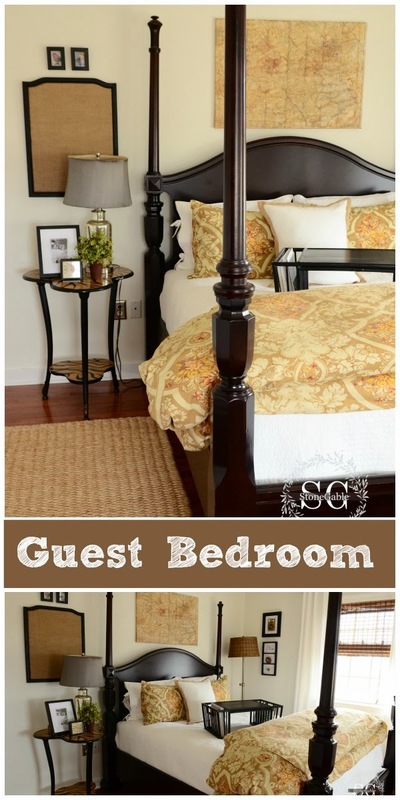 Your guest room is gorgeous and very welcoming! I never would have thought to add in a bulletin board but I absolutely love it! Very pretty, Yvonne. I love the idea of being able to welcome your guests in such a personal way and being able to alert them to local happenings and sights to see! It’s beautiful and just by looking at the picture, I would feel very comfy there! Lovely. 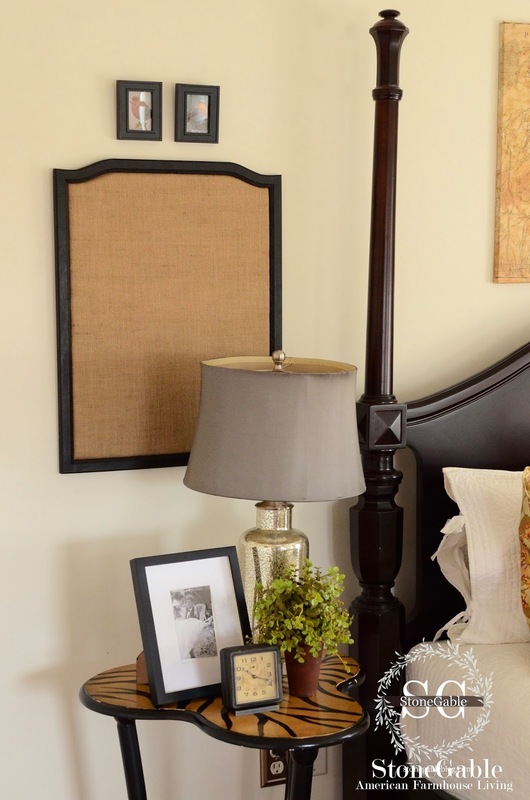 Your idea for the pin board is charming, and your guests will love it, Yvonne! Your guests will feel so welcomed in this lovely room Yvonne! The bulletin board is such a great idea! Very, very pretty Yvonne! I’m curious about the layering of your bedding. What is the order of your layers. Do you have a blanket on top of the flat sheet, and then the white quilt, and if so why both? Or does the white quilt act as the blanket? Also, is that a duvet cover at the foot of the bed or a comforter? May I just say thank you for all your beautiful and informative posts and hope you’re feeling better. I so love that idea Yvonne!…I used to have a blank frame on the bedside and inserted a pic of the guest coming…but I got away from that somehow…so you have inspired me to get back to that . . but then again, love your bulletin board so that you can post things like “on the menu”, activities, and quotes of the day…We stayed at a wonderful B&B in California years ago and each day there was a beautiful quote on our bed when we returned for the day…..I have just added another item to my book of “Yvonne’s Beautiful Projects and Ideas” ..
What a lovely guest room Yvonne! The bedding and the colors you chose to use in the room are all so beautiful together and the bulletin board is such a great idea! 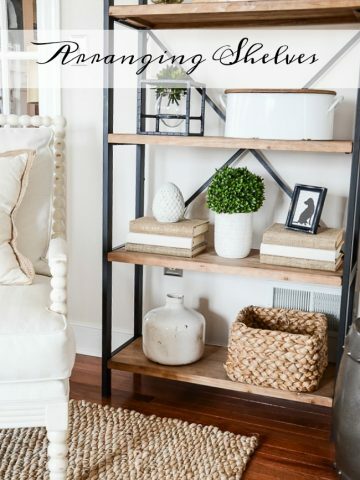 Of all the blogs that I read and see daily…..your blog is the most creative with so many How-tos that are gorgeous and very easy! Thanks for getting to the heart of our creative spirits! I always know that YOU will have something to get my mine going. THANKS! You are so thoughtful. What a lovely idea.